Brock Gill has for many years set the pace for a new generation of edgy, daring illusionists as he amazes audiences with his unique stage show, dry wit, and mind-blowing escapes. While working at a sawmill as a young man, Brock felt that God wanted him to use illusions, escapes, and stunts to bring a message of hope to people. “Brock acknowledges, “I just felt like it was what God was calling me to do.” With a passion for reaching people with the Truth of Jesus Christ that changed his own life, God has taken Brock’s ministry across the United States and the world. Through his travels, Brock’s heart for the lost has grown. He has learned how to grab the attention of the audience quickly while bringing a clear and effective gospel message. He has seen God touch thousands upon thousands of lives through his ministry. A major highlight of Brock’s career was the release of a documentary called, “The Miracles of Jesus,” produced by British Broadcasting Company (BBC) and Discovery Channel. The project gave Brock the opportunity to objectively investigate firsthand the miracles of Jesus in the New Testament. Brock handled the role of lead investigator in the project, an assignment that took him all the way to Israel and Malta. The three-hour program debuted on Discovery Channel. Brock has released four full-length DVDs: Close-Up and Personal (2002) and Hidden Agenda (2005), each produced by Jupiter Project, the Dove Award-winning creators of Third Day’s “The Offerings Experience” and Michael W. Smith’s “Worship.” Standing Room Only (2006) features big stunts, such as “the bullet catch,” as well as pro skateboarder Tim Byrne, X-Games gold medalist freestyle motocross rider Kevin Johnson, and other artists. His latest DVD, Alive On Stage, is the most unique project to date and is also available to watch on Hulu. The videos are designed to be practical evangelism tools that feature a gospel presentation. Brock has shared the stage with many well-known speakers, worship leaders and artists such as Franklin Graham, Luis Palau, John Piper, David Nasser, Adrian Rogers, Newsboys, Toby Mac, Audio Adrenaline, Third Day, Skillet, Chris Tomlin, For King and Country, Mercy Me, Casting Crowns, and others. 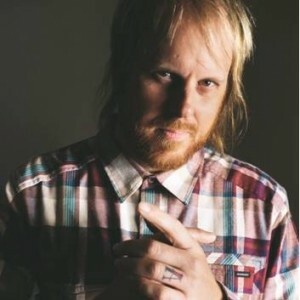 He has performed for such organizations as Focus On The Family, BigStuf Camps, Student Life, Superwow, and on tours such as Winter Jam, Livin’ It with Stephen Baldwin and Christ in Youth’s Believe tour. He has appeared on multiple television programs like The GMA DoveAwards,The Harvest Show,At Home Live, Fox News Channel’s Fox and Friends, NBC’s America’s Got Talentand in numerous other media outlets includingPassageway.com, Crosswalk.com,Baptist Standard,ChristianSingle , On Course Magazine , and radio programs across the country. One thing is for certain—a Brock Gill show will be a memorable experience through his grand illusions, death-defying stunts, subtle comedy and unique presentation of the gospel. © 2019 GOA, Inc.. All Rights Reserved.